Mr. Berry returned to the Board of Education after serving from January 1, 2010 through December 31, 2014. As a Board member, he was part of the team that developed and successfully passed a $76 million SMART Bond proposal. These funds allowed the district to upgrade security, enhance technology, purchase new buses, add on to several schools, and renovate all other schools in the district. He has been involved in several local organizations and is active in promoting and running a youth sports program in the city. Mary Lane has served 17 years on the Board of Education and Henry Ford College Board of Trustees having been first elected in November 1999, and most recently re-elected in 2018 for a two-year term. In her paid employment, Ms. Lane is the Director Emeritus of the Welcome Mat Detroit, a Global Detroit project of immigrant services. Ms. Lane has worked for more than 30 years with immigrants and internationals. She also works part-time as a U.S. Department of Justice Accredited Representative for the International Institute of Metro Detroit and Samaritas (refugee resettlement agency), assisting immigrants on legal issues and to become American citizens. Ms. Lane hold a bachelor’s and master’s degree from the University of Michigan. Her sons and daughter attended Dearborn Public Schools and received a broad world-class education there! Ms. Lane notes that she is proud of the role of public education in building the United States: her family have been educators back six generations. 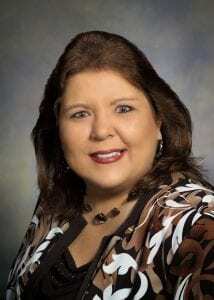 Roxanne McDonald is serving her second school board term, which will expire on December 31, 2024. She graduated from Dearborn High, earned two associate degrees from Henry Ford Community College and a Bachelor’s in Business Administration from Lawrence Technological University; all with honors. Ms. McDonald and her husband, Chuck, have three sons. The oldest is a disabled Army veteran. Their youngest is on active duty in the Air Force, and their middle son works in the automotive industry. For more than 20 years, Ms. McDonald has been very involved in community service throughout Dearborn, including serving on several PTA/PTSA executive boards, the Wayne County Association of School Boards, and the Henry Ford College Foundation Board. She currently serves on the Board of Directors for both the Dearborn Goodfellows and the Dearborn Community Fund. Michael Meade is serving his first six-year term on the board. He received a doctorate and a master’s in guidance and counseling from the Catholic University of America. Dr. Meade has served in a variety of leadership roles in the educational community, notably serving one year as Acting President and 23 years as Vice President of Student Services at Henry Ford College, and seven years as Dean of Student Services for Montgomery College in Rockville, Maryland. He has taught as an Adjunct Faculty member at Davenport University, University of Michigan-Dearborn, and George Mason University. Dr. Meade has been active in representing the educational, social, and business needs of southeastern Michigan, serving in a variety of roles with Sacred Heart Seminary, the Southern Wayne Chamber of Commerce, the Southeastern Michigan Council of Governments, the Exchange Club, and an educational task force with the Dearborn Public Schools and the City of Dearborn. Adel Mozip was appointed to the board in April 2019. He graduated in 2004 from Fordson High School and in 2008 from the University of Michigan-Dearborn with a degree in Computer Engineering and a minor in Computer Science. Mr. Mozip has an MBA from Wayne State. During his final year at U of M-Dearborn, he founded what is now called the American Association of Yemeni Students and Professionals. Mr. Mozip works as a Senior Web and Mobile Developer at Beaumont Health. He has also held a number of roles in the community, including serving on the District’s 2015 and 2018 Strategic Plan Committee and the Governor’s Commission on Middle Eastern American Affairs. Mr. Mozip taught Digital Connectors class at ACCESS for three years and helped found the mentoring program at Edsel Ford High School. 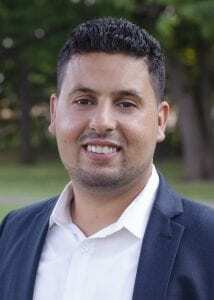 He has been involved in the Rotary Club of Dearborn, the League of Women Voters Dearborn/Dearborn Heights and the Eastborn Neighborhood Association. He is married with two children. Mary Petlichkoff previously served for four years on the Board and has returned to serve a six-year term ending on December 31, 2020. She is a long time member of the City Beautiful Commission and is president of the Dearborn Federation of Neighborhood Associations. Ms. Petlichkoff has been active for many years with the Dearborn Public Schools as a parent and member of the PTA Council. Jim Thorpe is a lifelong Dearborn resident and graduate of Dearborn High. He began his first term as a Board Trustee on December 12, 2016. Mr. Thorpe works as a Financial Advisor for Ameriprise located in Dearborn for more than 15 years. He is active in several community organizations, including serving as chairman of Dearborn Chamber of Commerce and President of the Dearborn Rotary Club. Mr. Thorpe has also served the district on the Dearborn Education Foundation, strategic planning, and the curriculum council. He is the father of two Dearborn Public Schools students and was vice president of the Lindbergh Elementary School PTA.